I still clearly recollect the first time. From this gentle hill, across the whole horizon, an immense sky lay over the slopes that descend towards the Parma valley. Just a few steps away, a small stream called the Ariola, still flows. Every now and then a light breeze blew, caressing the silence of the hills that to this day, at sunset, glow with a warm and comforting light. This was the place for the story of Cantine Ariola to begin. It is from these hills, at an altitude between 200 and 300 metres, that we have reached the top of the world with a wine named after me: Marcello. Today, Cantine Ariola cover an area of approximately 70 hectares. Processing still follows the seasons, as do resting and ageing. We respect our land and nature because it pays us back with the fruits of our work. We use irrigation control systems to provide the vines with the right amount of water. 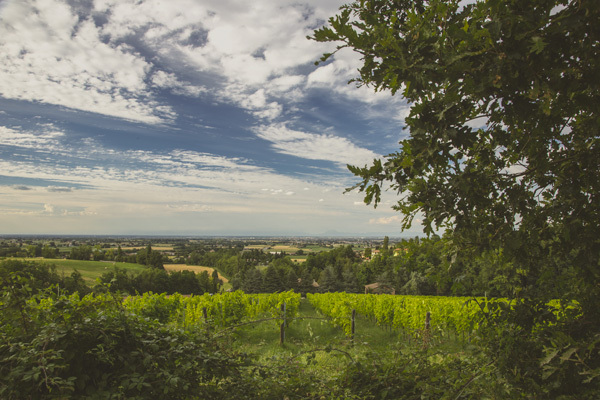 Our vineyards produce traditional white and red wines of Parma and the Emilia region: Lambrusco, Malvasia and Sparkling Bollicine, but also still and classical red wines, in addition to distillates, craft beer and elixirs. Taking the time to wait turns an instant into a century. Marcello Ceci founded Cantine Ariola and continued the winemaking calling of this land that began with the Forte Rigoni family in 1956. We invested in product quality: we laid down a processing method that was strongly tied to tradition in synergy with new optimisation technologies. 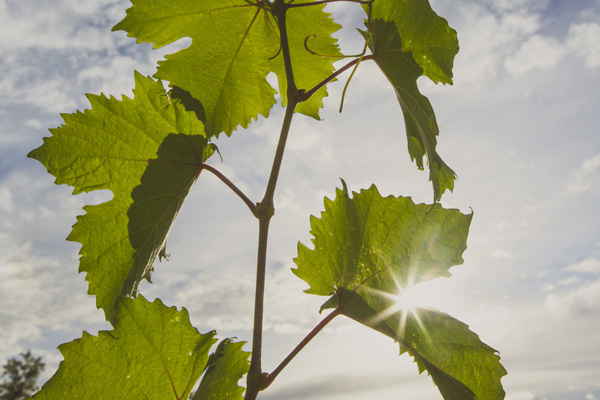 We continuously improved the quality and sustainability of the vines and processes. We chose spurred cordon pruning methods to maintain a perfect yet delicate balance between the leaves and the future fruit. The first harvest strengthened our love for this land and our passion for our work. But that was not enough. 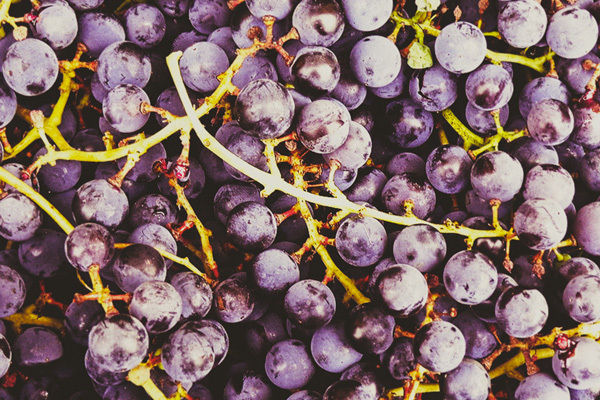 We started working with the raw material: the grapes. We selected the most promising varieties that were also in harmony with the area. We continued to focus our efforts and knowledge on the grapes. This was a long journey as the entire harvest was made into wine and aged to obtain the right balance. To achieve a wine that fulfilled our expectations we had to wait for the next season. On top of the World. Lambrusco Marcello 2010 was awarded the gold medal at the International Wine Challenge of London. Just a few months prior it had won the Great Gold Medal at Vinitaly. That same year, Luca Maroni’s Yearbook of the Best Italian Wines awarded Lambrusco Marcello Ariola a score of 98/100. We produced the best sparkling red wine in the world. 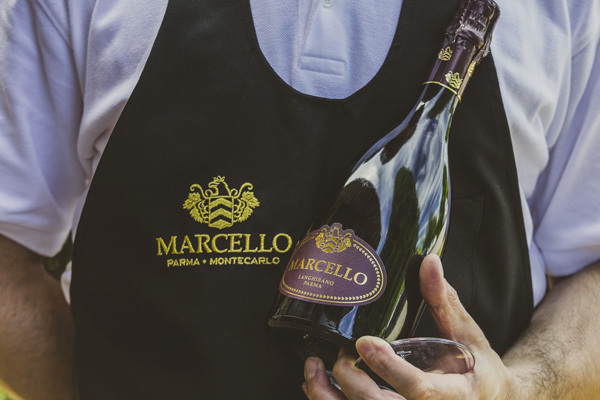 ambrusco Marcello Ariola and Lambrusco Marcello Gran Cru obtained increasing accolades, including the Gold Medal at the International Wine Challenge of 2016, the Silver Medal in 2017 and 2018, the Silver Medal at the Concours Mondial de Bruxelles, the Gold Medal for Best Lambrusco IGT in 2018. We win medals and mentions not only with our Lambrusco but also with other typical wines. We put our heart into our work. We reap emotions.